On Thursday night, Part 2 of Andy Cohen’s interview with Teresa and Joe Giudice on Watch What Happens Live aired on Bravo. If you thought the first half of the interview was confusing, strap in, kids. 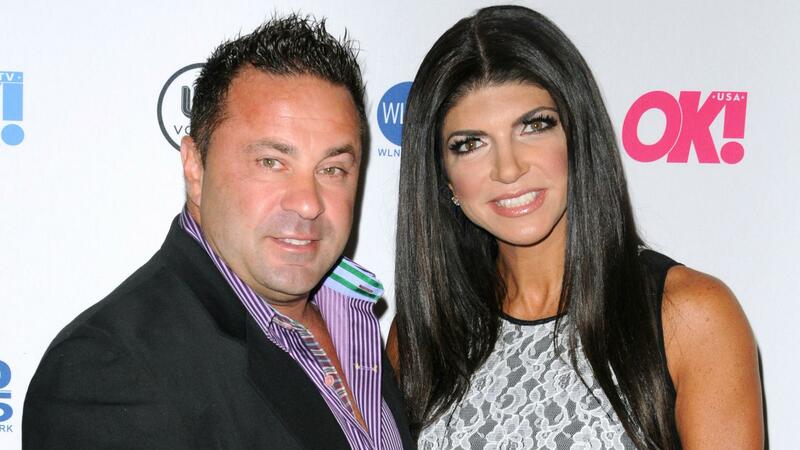 Teresa and Joe just served up seconds on some Giudice goodness. If you’re wondering what that squishy sound is, it’s the Giudices’ accountant, under the bus. Don’t worry, he’s got company under there. The Giudices’ attorneys are with him. Uh-oh, trouble in felony paradise rears its head when Joe tries to explain why the couple only claimed $25,000 in furnishings for their $3 million house. Teresa snaps at him, “I’m speaking.” She clearly doesn’t feel Joe can adequately explain the concept of depreciation. Teresa barks at Joe again when both of them falter on why they did not pay the $200,000 they owe the court. Maybe Teresa was frustrated with Joe when he mumbled, “I had it set up, and then I don’t know what happened. I mean, whatever. I mean it was there, I just, I don’t know.” No wonder these guys are in financial trouble! Evidently, they live in some sort of bizarre vortex where hundreds of thousands of dollars just disappear! This is Joe’s answer to Cohen’s question about the possibility of Joe being deported after he serves time. We hate to be the ones to point this out, but it may be this very mind-set that got Joe in trouble the first time. Perhaps Teresa asked him a few years ago, “Hey Joe, what’s going to happen when the bank realizes we falsified information on our loan application?” Did Joe answer, “I’m gonna worry about that when the time comes”? This is one of our favorite quotes, and it doesn’t come from the Giudices. It comes from Cohen after a choked up Joe says he’d do 10 years in jail to see his deceased dad again. It’s apparent that Cohen is being sincere when after a heavy pause he says, “That’s nice,” but he comes off just a hair sarcastic. It’s interview gold. Joe tells Cohen this after he admits to drinking two to four bottles of wine at night so he can sleep. Later, Joe muddies the conversation by saying, “I don’t have a problem.” Teresa tells Joe he is seeing someone for his drinking (a fact Joe must have forgotten). Teresa, who seems hell-bent on making cluelessness a religion, thinks the scrutiny from being on television adversely affects her other businesses. Oh, honey. It’s the scrutiny that comes with being a felon that affects your businesses. People are weird about doing business with crooks. And we’ll just go ahead and point out that Teresa wouldn’t have all those other businesses if she weren’t a TV personality.